Recently PakWheels took a review on toyota prius prime 1.8 2017 check this video below. 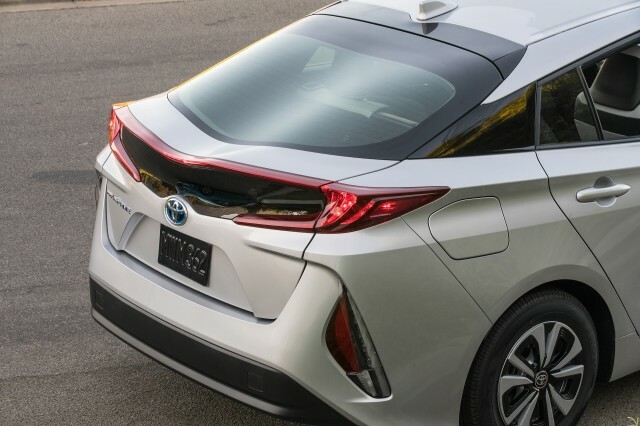 The Prius Prime was introduced in 2017, based heavily on the latest-generation Prius. 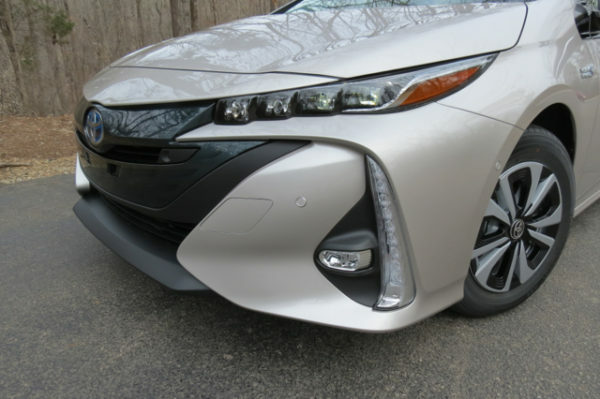 As with its hybrid sibling, the Prius Prime’s use of the Toyota New Global Architecture (TNGA) platform was new for the 2017 model year, and its powertrain, exterior, and interior were all revised compared with the previous Prius plug-in. The Prime is several inches longer and very slightly lower to the ground than the Prius hybrid. It measures at 2.4 inches longer and 0.6 inches wider than its predecessor. Dimension-wise, it measures at 57.9 x 69.3 x 182.9 (height width length) inches and has a wheelbase of 106.3 inches. The second thing you will notice is dad massive 12-inch screen right in the middle of the dashboard. It has both its pros and cons. 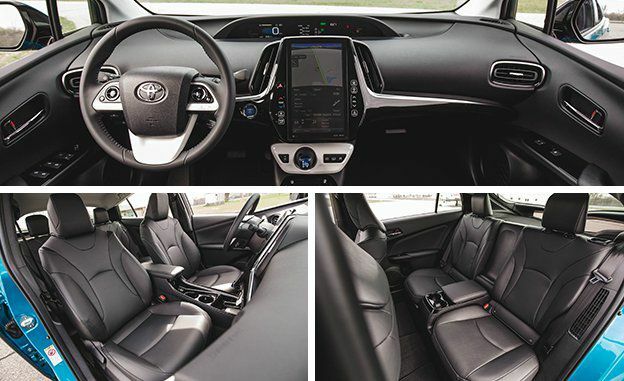 As for the pros are concerned, the screen does look beautiful, and it can control most of the car’s auxiliary functions from multimedia to air conditioning. But talking about the cons, the first thing is that in a moving car, it can be quite difficult to change settings on a touchscreen. You do need physical buttons on the dashboard to feel or hold when the car is jumping around on the road. Whereas on a touchscreen you are trying to change the radio channel but with one road bump you and up turning off the AC. Another negative aspect of this huge screen is the glare. When the sun is behind you, you will see that the touchscreen can become blinding with the glare and that can be quite dangerous when driving.